The wait is over. HD Oppo Champions League t20 ClT20 2014 Kits Patch for EA Sports Cricket 07 is. Now available for download. These beautiful and high quality kits of all 12 teams are brought to you by Shailesh Kumar (@a2Shailesh on Twitter). The download links are given below. Kits preview also attached. 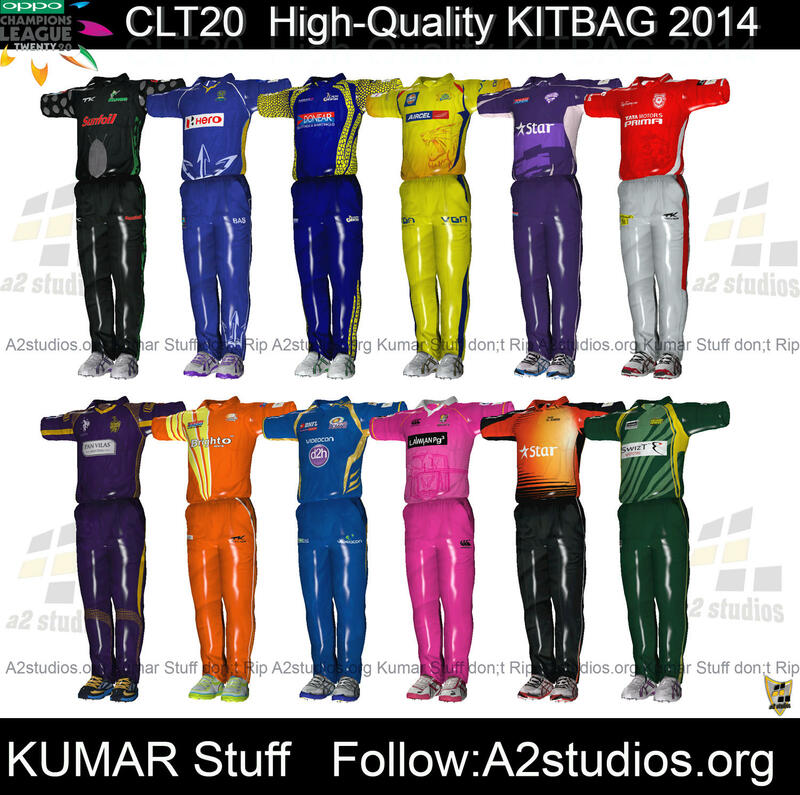 These kits are compatible with the CLt20 Roster which is also released. Links can be found below. Enjoy & must leave your valuable comments below. Pretty cool isn’t it? All credits goes to A2 Studios’ Shailesh Kumar. Drop your comments below if you face any problem. To install, just download and paste the kit contents into EA Sports Cricket07 Root folder.